During the show, host Jun Hyun-moo presented survey results showing that Korean children’s life satisfaction is the lowest among OECD nations, citing the research done by the Ministry of Health & Welfare. The panelists also shared the grim reality of Korean children, saying they would consider emigration if their children have to study in Korea, referring to cutthroat competition among Korean students. “Unlike in the past, children these days appear to be filled with fury as they are forced into competition,” Kwon said. 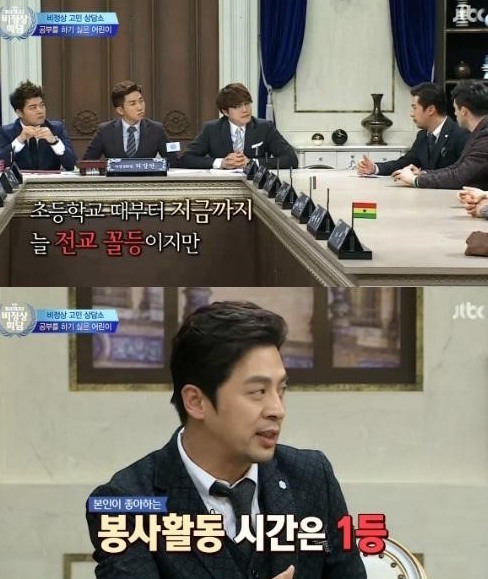 “Non-Summit” which features a panel of non-Korean men debating on various topics, airs every Monday at 10:50 p.m.